Can you feel the potential for hope and change that permeates the air of Mount Royal College? If not, then you are probably not alone. The 2009 Students’ Association of Mount Royal College election is upon us less than four months after the Dec. 2008 byelection and there is only one Executive Council position being contested. There will also be a referendum on a preferential voting a system for future elections. VP Academic is the only position that MRC students will be able to vote for. Erin Delamont, who organized the AUCC student forum among many other things, and Scott DesBrisay, who ran a failed campaign for SA President in the 2008 election, have both been members of Student Council in the past and will be the only names on the ballot. You can download their platforms in the SA election supplement here. The Reflector will have in-depth profiles of both candidates available on Thursday March 19 when there will be an All-Candidates’ Debate in Wyckham House. MRC students can vote online here or Mon. March 23 – Wed. March 25 in person at MRC’s East Gate and West Gate. The referendum poses the question: “Should the SAMRC use a preferential voting system to conduct its elections?” This means that rather than voting for just one candidate on the ballot, you will be able to number them based on whom you think is most qualified. 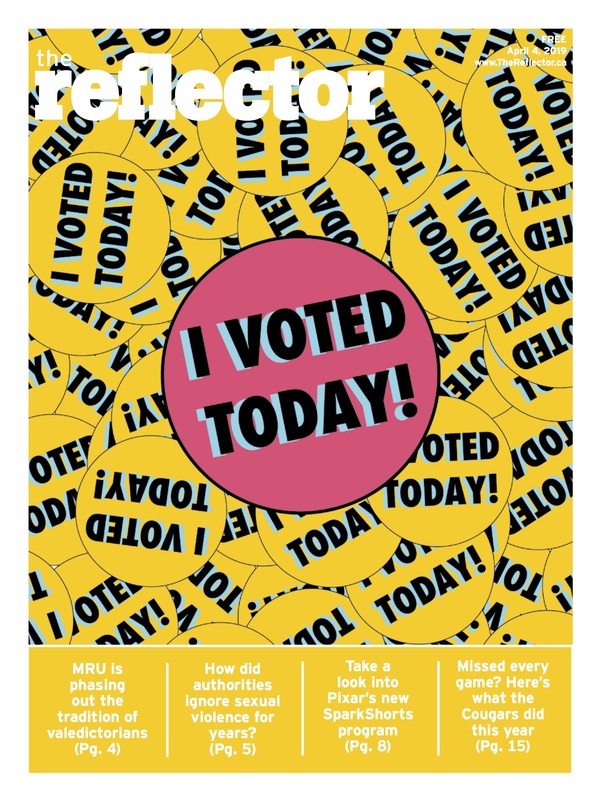 You can vote in The Reflector’s Pre-Referendum Poll in the right column or have your say in the comments section below. Our President, Travis McIntosh, has been reappointed after nobody contested his position. McIntosh ran in the 2008 election but was disqualified along with VP Student Life candidate Liz Mckeown because of a Facebook group. The disqualified candidates made appeals that resulted in a $65,000 price tag for the SA and a byelection. Both Mckeown and McIntosh won their positions in the byelection. Mckeown chose not to run again, and the VP Student Life position was given to Eily Sweeney as she was not contested. Sweeney’s creation of Ride the Wave, a bike tour from Calgary to Victoria raising awareness of the environment, was featured in The Reflector. Veteran executive Matt Koczkur has served the maximum amount of terms allowed as VP External and will be replaced by self-described “proud member in good standing” of the SA Robert Jones. Someone with a full head of curly hair will now represent the SA in the media. Let’s hope the drastic change from Koczkur’s shiny dome and beard doesn’t shock the public. The Students’ Council has three newly appointed representatives. Jeremyn Voon and Tegan Smyth are the new Business and Entrepreneurial Studies Representatives and Dr. Gonzo is the Art’s Faculty Representative. You may find that Dr. Gonzo looks strikingly similar to former SA President Jeff Agnew. It is in fact Agnew, and he plans to use his new position to allow outdoor parties with the consumption of alcohol, skateboarding on campus, bathrooms in the Liberty Lounge and a change in bylaws to allow part-time students to run for Executive Council.